[UPDATE:] All these photos have been added! 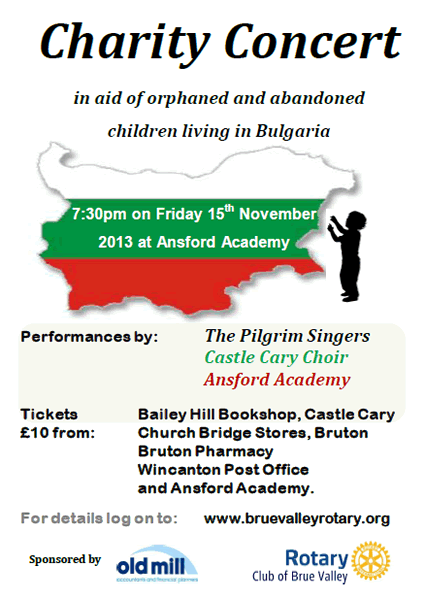 Ansford Academy has kindly provided the venue for a fund-raising concert on Friday 15th November, organised by Brue Valley Rotary Club, to help a new project to support young adults who have grown up in Bulgarian Children's Homes. The event, sponsored by Old Mill accountants and financial planners, will feature performances by the Pilgrim Singers, the Castle Cary Choir and performers from the school, all of whom are generously giving their time to support this international cause. Bulgaria is the poorest country in the EU and their children's homes are populated by both orphans and abandoned children who get very little care or education, resulting in most leaving at age 16 without much chance of getting a job. The boys often turn to crime and drugs and the girls to prostitution and are trafficked, or they have to resort to begging. Funds raised at this concert will be used by Brue Valley Rotary Club to help set up centres which will give these young adults a chance to obtain the life skills they need and to get a job once they leave the Homes. Brue Valley Rotary Club is working with the Trussell Trust (an established charity in the field) and the Rotary Club of Sophia International to establish a centre in the capital Sophia. 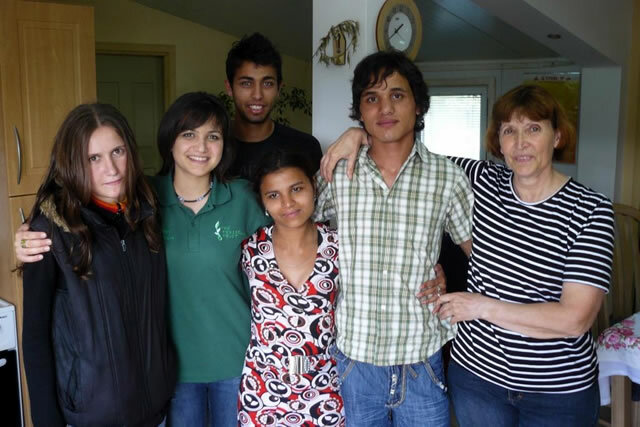 This is planned to be the first of many where orphans can be taught life skills, gain work experience and receive care and mentoring so that they can move into employment or further education, enabling them to escape what would otherwise be their fate. 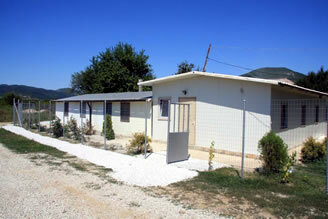 Brue Valley Rotary Club has chosen this as its international project because of the dire need and the fact that one of its members is Bulgarian, so has contacts, speaks the language and understands the culture. The concert will provide a lively evening of some of the favourite pieces of the performers, providing a range of music and song. Wine and nibbles will ensure a sociable and enjoyable evening for all. Tickets are £10 each and can be obtained from Ansford Academy, the Pilgrim Singers, the Castle Cary Choir, Bruton Pharmacy, Church Bridge Stores in Bruton, Bailey Hill Bookshop Castle Cary and Wincanton Post Office. Further information is available on the Brue Valley Rotary Club website www.bruevalleyrotary.org or contact Andrew Davies on 07968 380101. Well done to Andrew Davies for organising it. The show started with the multitalented Pilgrim Singers who’s singing ranged from a Congolese folk song through Irish and English folk songs to an Old Gaelic Blessing, harmony to your ears on a cold evening. Ansford Academy students then followed, they were very polished and hugely talented, covering the music of Michael Jackson, Lennon and McCartney, Mega Faun, Kahn & Donaldson and an own composition from Felix and Miles. an unforgettable treat. The Castle Cary Choir then delighted our senses with superb harmonies including Flying Free, Somewhere over the Rainbow, Words, Wherever you are and many more.